You want to know that what you’re purchasing is not just going to work, but that it’s going to last. All MotoBATT AGM batteries come with a 2-year replacement warranty. MotoBATT batteries – great for motorcycles, ATVs, scooters, UTVs and more – can also have up to 25% more capacity compared to its peers. That means more cold cranking amps and more amp hours. If you’re a powersport or motorcycle dealer, you need MotoBATT in your store. 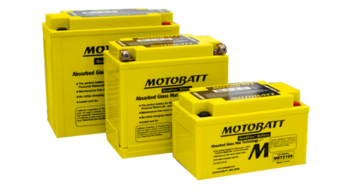 Each MotoBATT battery is designed to specifically replace any number of traditional flooded or AGM battery sizes and specs. That means fewer part numbers for you to keep track of, lower inventory levels, and a higher return on your investment! Owners of personal vehicles like motorcycles and scooters don’t need to worry about their battery performing the way they want. MotoBATT batteries and Northeast Battery help take the guessing out of the question with its powerful lead batteries. The American Motorcyclist Association has even named MotoBATT the official battery of the AMA Pro Road Racing and AMA Pro Flat Track. 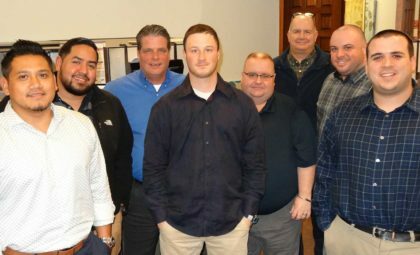 Get a quote for MotoBATT batteries today, or just ask our expert team a question about what these batteries can do for your business.